18314 Dr. James Denford, the current Dean of Arts, graduated with a bachelor’s degree in Engineering Management from RMC in 1992. Although the program was not offered after 1995, Denford found it very useful in his 24-year career as a Signals Officer in the CAF. The program taught broad engineering knowledge and management skills, developing his strong interest in the latter. Eight years after graduating from RMC, Denford returned to the college in 2000 as a graduate student, and completed an MBA. 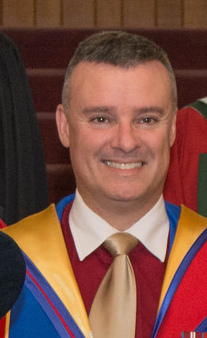 Finding a middle ground between his two degrees, Denford then went to Queens University at the Smith School of Business from 2005-08 where he received his PhD in Management Information Systems. During his time as a cadet, Denford spent his four years in 8 Squadron. He also became the president of the Army club, the captain of the pistol team and held four bars on grad parade. Although there were many to choose from, he said that his favourite memories were competing against USMA on West Point weekends, and in particular he is very proud of the year that they won. He went on to explain that as students you only get to see the professors in class and sometimes during office hours or extracurricular activities, but as an academic administrator you get to know them so much better. 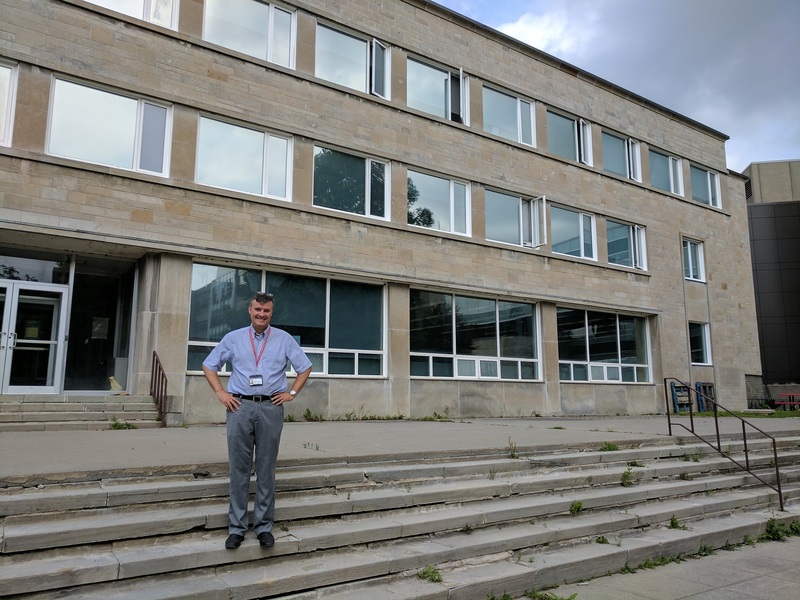 Previously as the Head of Management & Economics and now as the Dean of Arts, he has the opportunity to see them as teachers, as researchers, as administrators, and as contributors to their academic disciplines and community outside of the College. Once you stop being just a student, your eyes get opened even more to the very high quality of our faculty. In the future Dr. Denford would love to stay on as a civilian faculty member and give back to the college. Pointing out that education only starts in the classroom, he notes “the stuff we do here is amazing. From the Battlefield tours, the cultural outings, to the Model NATOs and UNs.” He loves that all of these exceptional experiences are offered to the students, and is very appreciative of the RMC Foundation for supporting them.